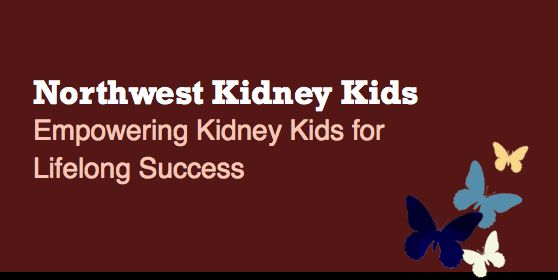 Northwest Kidney Kids Inc. mission is to offer hope and support to children with chronic kidney disease and their families. We provide prevention services, educational programs and group activities that empower Kidney Kids to take charge of their health, embrace their future and achieve lifelong success. The purpose of this form is to allow NW Kidney Kids volunteers and staff to contact you and keep you informed about services, programs and activities that could pertain to your family. Your contact information and other information you provide here are held in strict confidence and will not be shared with anyone else. What grade will they be entering in fall? What is the child's current stage of diagnosis for kidney disease? Is the child currently on peritoneal dialysis or hemodialysis? Has your Child been referred for a kidney transplant? Has your child received a kidney transplant? Would you like to be added to the Parent ONLY private Facebook group for parents of kidney disease? If yes- please list the email address linked with your Facebook Account so we can add you! Information about siblings/other children in the household helps us better prepare for activities such as camp and day trips. Please share with us who else lives in your household with your kidney kid! Use blank text box for additional room if needed. I give permission for Northwest Kidney Kids Inc. and/or volunteers designated by Northwest Kidney Kids, Inc. to use the provided photos and statements, all forms of media for any and all promotional purposes including fundraising, promotional display, education purposes and to be published on the Northwest Kidney Kids, Inc. Website.